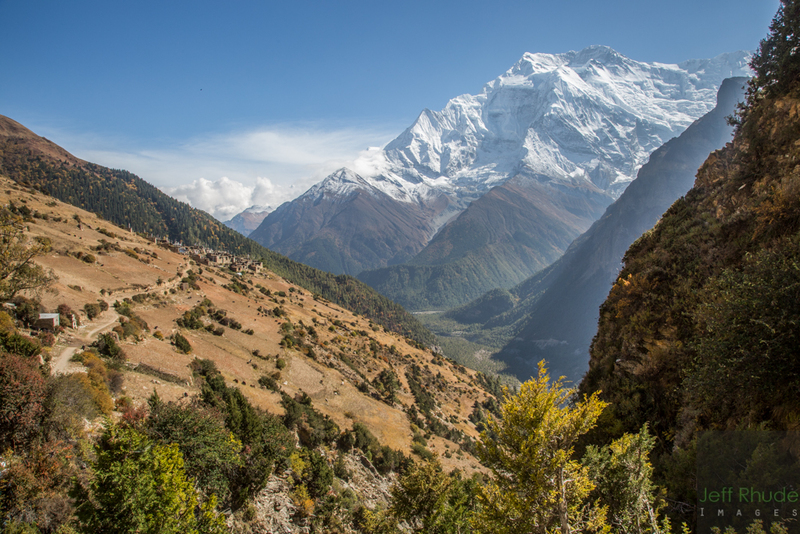 The swift and haphazard development of the Annapurna trail into a “jeep” road (a strange local word because there isn’t a jeep to be found in Nepal) has certainly made access easier for tourists. After a shopping spree in Kathmandu or Pokhara, newbies and wannabes alike can look the part in their North Face downie duds for pennies on the rupee. Before the new road, horseback or humanback was the only way to get around. 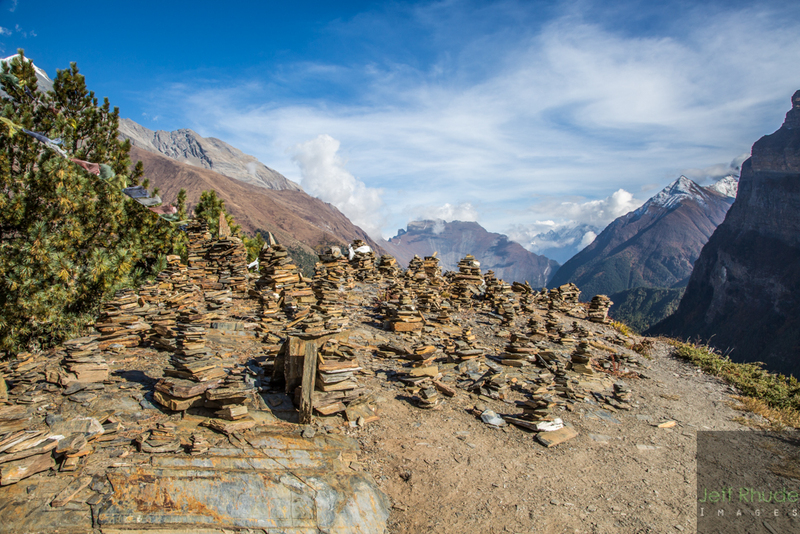 Slogging it through the stone villages from Besisahar was your only option if you wanted to make it all the way to Throung La Pass 5 and a half kilometres straight up from the ocean. Every day the road seems to creep further along, eating up the walking trail as it twists and winds connecting small village after village. Maps from the year before showing where the road has ended are now out of date and you can see Mahindras as far as Manang. Of course there is an ecological impact but more readily apparent is the economic one. A number of villages used to be frequented by visitors, staying and eating in the local teahouses on the way. Since the road went in and you can Mahindra further along, most don’t stop until they can get out of the car and so some of these little teahouses are failing. 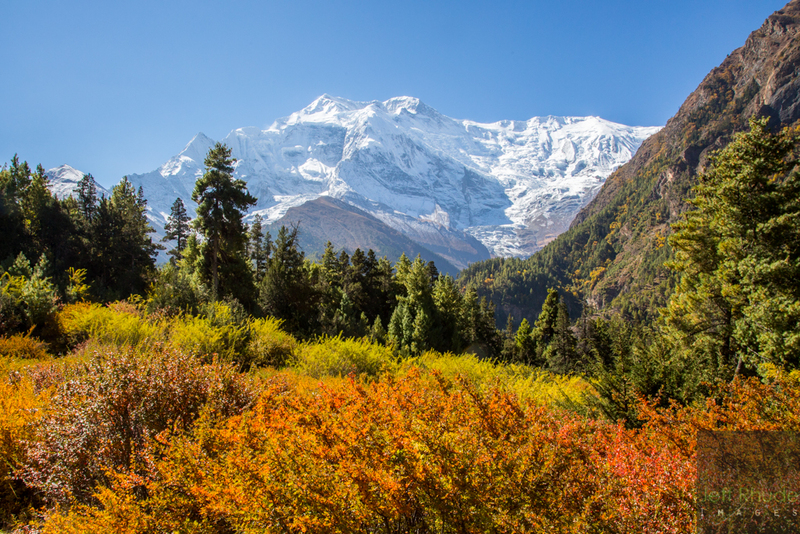 Despite my romance with what the Annapurna area looked like 10 or 20 years ago, I did manage to find some spectacular scenery to photograph. We were pretty far along before we first saw the Mannapurna. Despite our pace, Mannapurna looks on. Even the locals are impressed. 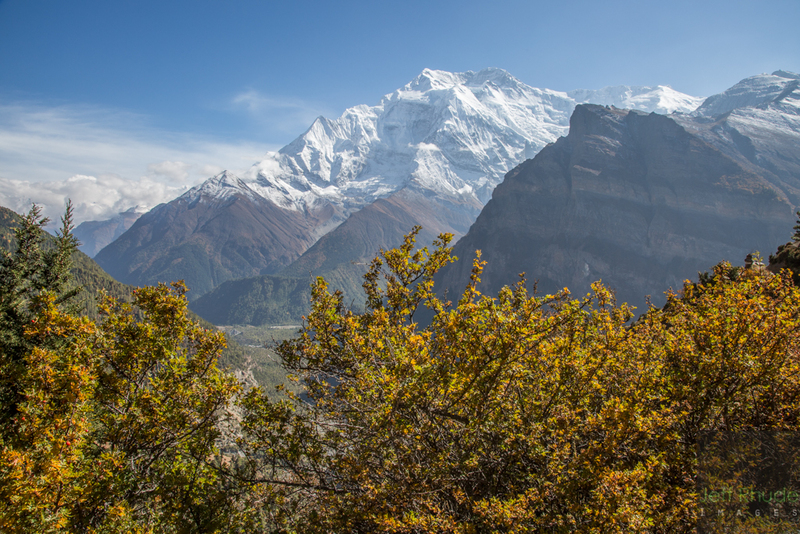 A small village in the distance shows the scale of Annapurna II, a massive peak at almost 8,000 metres. Finally we see some progress. Nothing like the mountains to make you feel so small. We finally reach a high point where some latas were built. 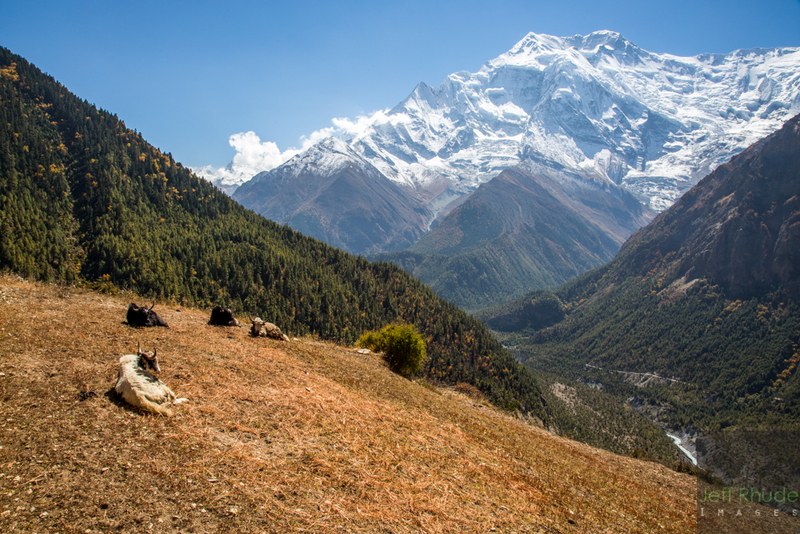 Prayer flags flutter with terminal velocity in the strong mountain winds. It could be the lack of oxygen causing your euphoria but for me I think its the view. 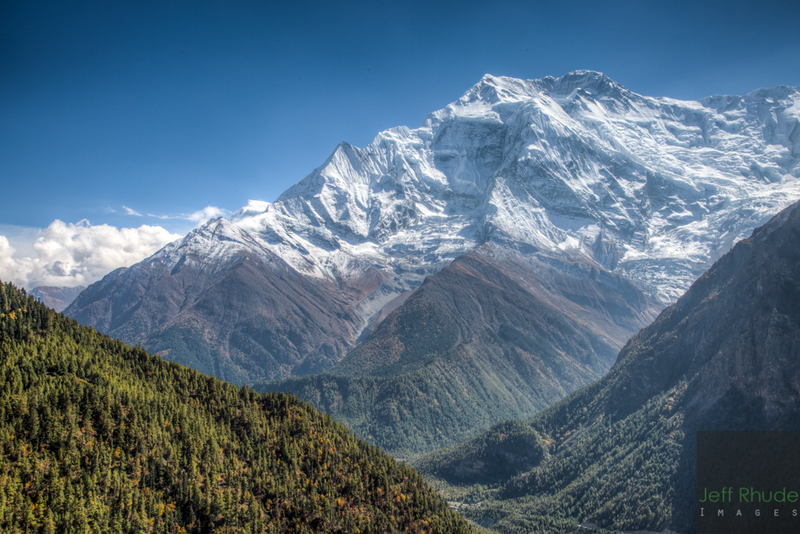 This entry was posted in Nature and tagged Annapurna, Annapurna 2, Annapurna II, Mountain, Nature, Nepal, Scenery, Yak.